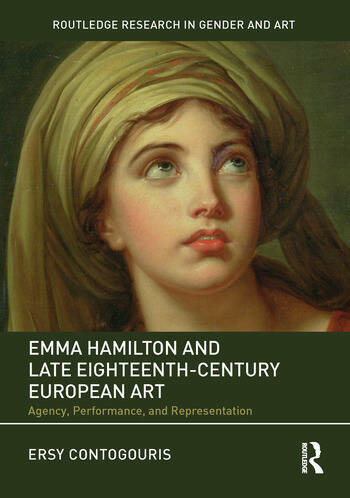 This book offers a renewed look at Emma Hamilton, the eighteenth-century celebrity who was depicted by many major artists, including Angelica Kauffman, George Romney, and Élisabeth Vigée-Le Brun. Adopting an art historical and feminist lens, Ersy Contogouris analyzes works of art in which Hamilton appears, her performances, and writings by her contemporaries to establish her impact on this pivotal moment in European history and art. This pioneering volume shows that Hamilton did not attempt to present a coherent or polished identity, and argues instead that she was a kaleidoscope of different selves through which she both expressed herself and presented to others what they wanted to see. She was resilient, effectively asserted her agency, and was a powerful inspiration for generations of artists and women in their own search for expression and self-actualization. Ersy Contogouris is Assistant Professor at Université de Montréal, Canada.